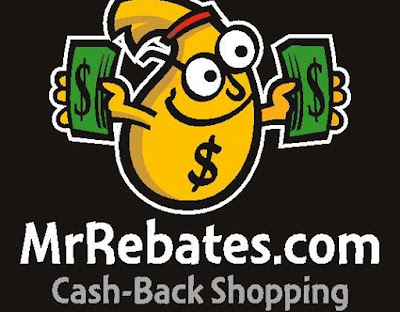 Most of you have probably heard of Ebates, but have you heard of Mr.Rebates? Same concept you earn cashback on your online purchases when you visit through their links. You can earn money back on all the money you are already spending online! Who doesn't want that? Often times the % that they offer is higher than what Ebates offers! It's always a good idea to check before you shop! After your first order you also get a $5 bonus on Mr.Rebates and payments are sent out at the start of the month from the previous month's cashbacks. You can request Paypal or Cheque. They have 500+ retailers listed, and there are bonus offers and weekly specials all the time when payouts are higher, so definitely check back!